This beautiful apron was inspired by the designers love for cooking, his partner and family. It would make a fantastic, thoughtful gift for your loved one. 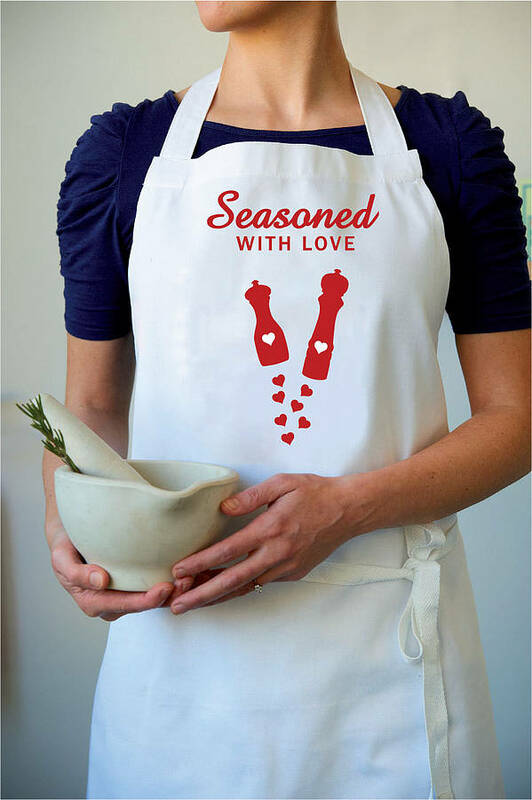 It's perfect for a wife, husband, boyfriend or girlfriend, for that special cook in your life, who when wearing the apron will always be reminded of your love and affection. Let's hope that their food tastes just as wonderful as your love for them?! White 100% cotton apron, printed in the U.K. Adult size: a generous 70 x 90 cm. No pocket.